Dr. Scott Fishman graduated from Drew University with a BA degree and the Ohio College of Podiatric Medicine in 1985 with a D.P.M. degree. 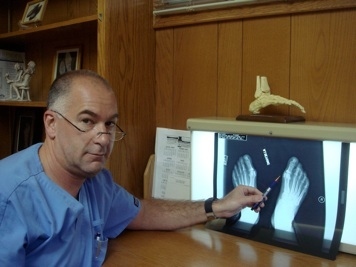 He completed his residency through Huron Road and Mount Sinai Hospitals and the Cleveland Foot and Ankle Clinic of OCPM. He is board certified by the American Board of Podiatric Surgery and is a Fellow of the American College of Foot and Ankle Surgeons. He was an adjunct faculty member of Temple University School of Podiatric Medicine, has been a member of the speaker’s bureau of Pfizer, Meade Johnson and Merck pharmaceuticals, and has published in several professional medical journals. He continues to train residents at South Jersey Hospital Regional Medical Center.